for your recipes, that I would love to have. 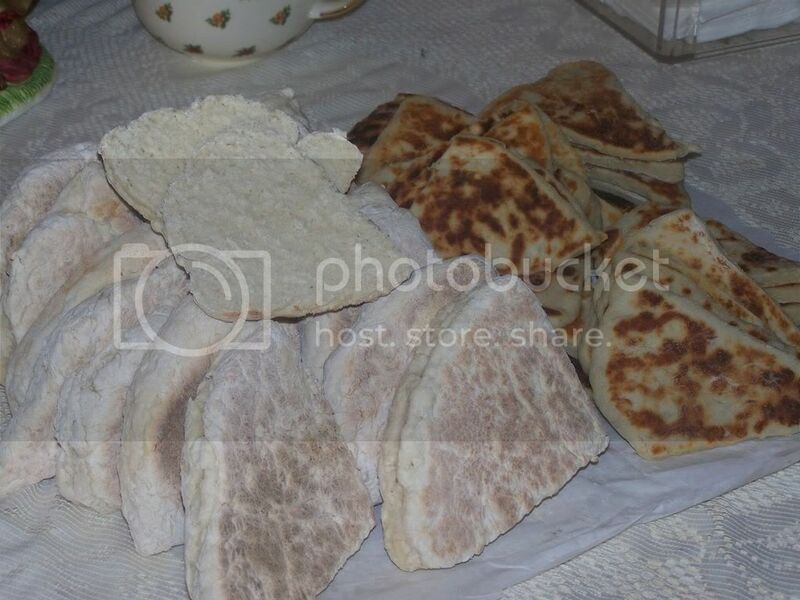 The photo of your Soda & potato bread looks wonderful, it has put me in the mood to make some this weekend, wish you lived near me, I'd be at your house in a flash with the sausages bacon & eggs and ofcourse HP. I only make potato bread, will go to your thread for the recipe on sodabread. Have been living in Florida USA for over 50yrs, I still love my fry,every so often I make potato bread for a treat. So being back in Belfast and having a fry every morning was fantastic. Nothing like an Ormeau Bakery pancake fried in the the same pan. they're the best! had forgotten about that delight! Fresh soda farls,split,toasted,floating with butter and topped with home made raspberry jam.